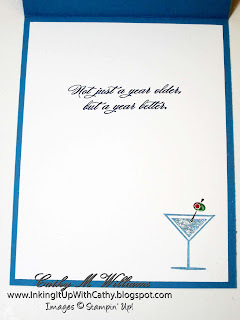 Inking It Up With Cathy: It's Happy Hour!!! 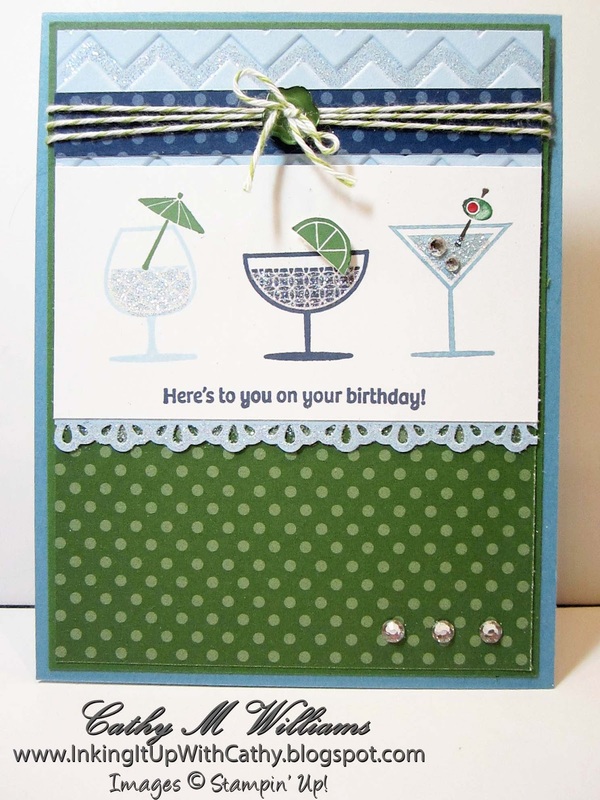 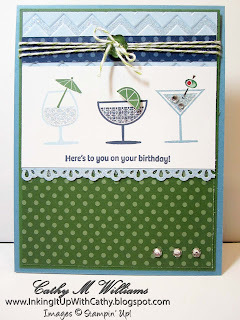 Here is a card that we made back in March at a workshop using the Happy Hour stamp set which is still available for purchase. 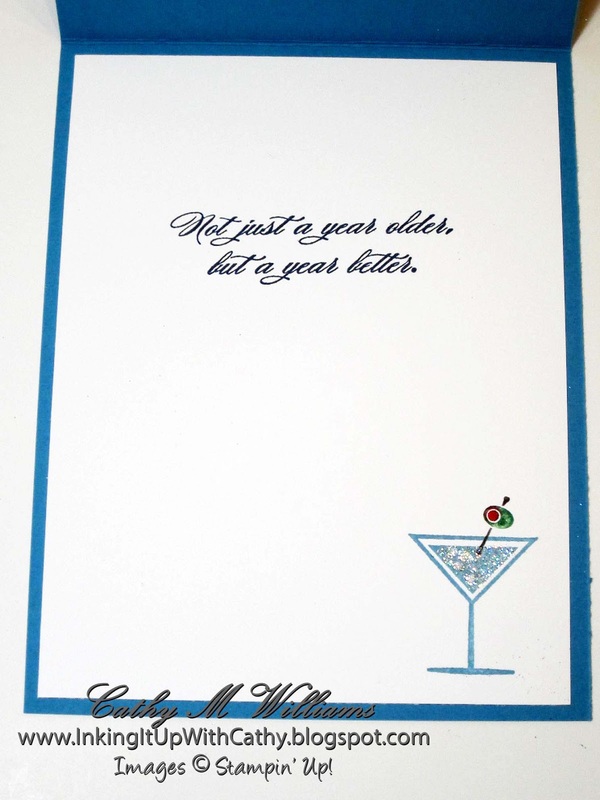 Some of the colors and papers are retired but substituting is easy with this card.